Clean the area where the seal will be mounted. Use a suitable solvent with a mixture of 50?€‰percent isopropyl alcohol and 50?€‰percent water by volume, or high-flash naphtha. 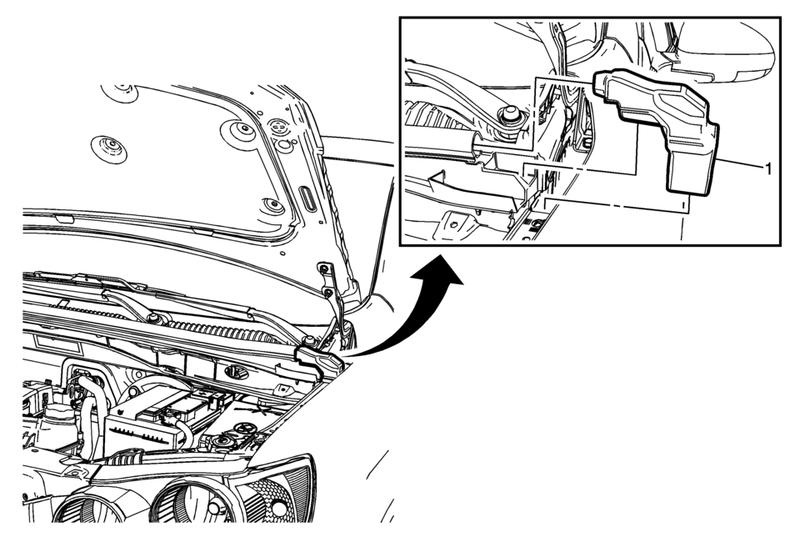 Warm the air inlet panel using a heat gun, to a minimum, prior to the hood rear outer seal installation. Do NOT touch the adhesive surface when tape is removed. Peel the tape liner off and install the outer rear hood seal. Position the end of the seal into the end of the hood rear weatherstrip.